Yamaha Commercial Audio and London’s SW19 Studios are joining forces next month to host an exclusive, two-day Welcome to the World of RIVAGE event. 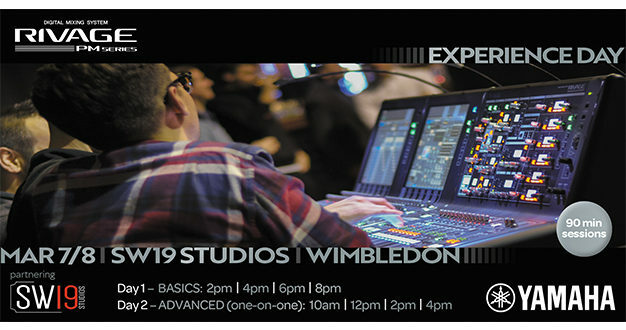 Taking place on Thursday 7 and Friday 8 March at SW19 Studios in Wimbledon, it comprises a free series of technical training seminars which offer professional and aspiring sound engineers an opportunity to get up close and personal with Yamaha’s RIVAGE PM7 and PM10 digital mixing systems. 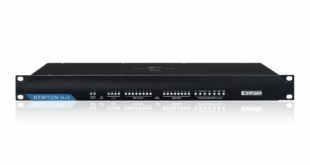 Day one will focus on showcasing RIVAGE PM7 as a solution for live venue and festival engineers, creating audio for today’s touring bands. 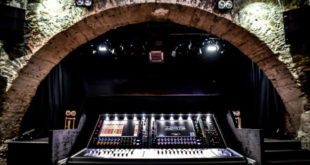 Yamaha product specialists and SW19 staff will be on hand to deliver an overview of the system, highlighting key features and demonstrating its applications in a high quality rehearsal environment. There will be plenty of time for hands-on exploration during the 90 minute sessions, which will help guests get to grips with the console and take advantage of the many features, networking with I/O and being ‘festival ready’ for when they find themselves behind a RIVAGE console. Day two offers those with some experience of RIVAGE and/or those who want to delve deep into the system. 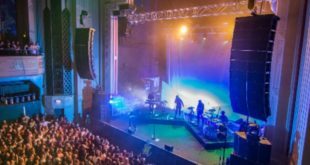 Through a series of bookable one-on-one sessions, guests can book to spend time with a Yamaha product specialist and a RIVAGE system. 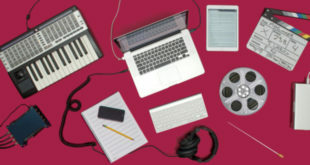 Content will be customised to the needs of the guest – everything from converting an existing show file through to specifying and setting up a complex system for an upcoming tour. Places are limited and will be secured on a first come first served basis. Sessions will be taking place on Thursday March 7 at 14:00 / 16:00 / 18:00 / 20:00 and on Friday March 8 at 10:00 / 12:00 /14:00 /16:00.